Sepsis is the body’s overwhelming and life-threatening response to infection that can lead to tissue damage, organ failure, and death. In other words, it’s your body’s overactive and toxic response to an infection. 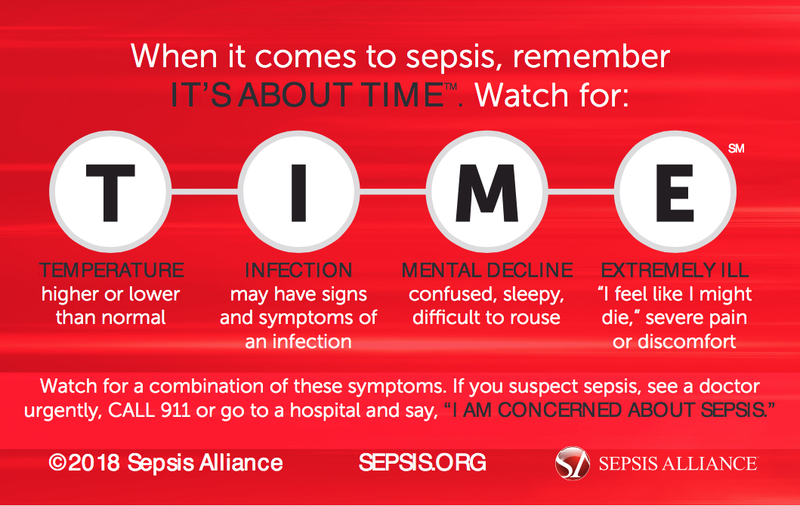 Some people are at higher risk of developing sepsis because they are at higher risk of contracting an infection. These include the very young, the very old, those with chronic illnesses, and those with a weakened or impaired immune system. 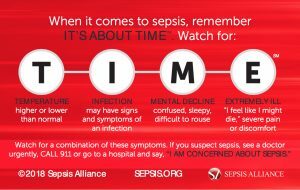 Sepsis progresses to severe sepsis when in addition to signs of sepsis, there are signs of organ dysfunction, such as difficulty breathing (problems with the lungs), low or no urine output (kidneys), abnormal liver tests (liver), and changes in mental status (brain). Nearly all patients with severe sepsis require treatment in an intensive care unit (ICU). Septic shock is the most severe level and is diagnosed when your blood pressure drops to dangerous levels. Sepsis has been named as the most expensive in-patient cost in American hospitals in 2014 averaging more than $18,000 per hospital stay. With over 1.5 million sepsis hospital stays in 2014 per year, that works out to costs of $27 billion each year. Studies investigating survival have reported slightly different numbers, but it appears that on average, approximately 30% of patients diagnosed with severe sepsis do not survive. Up to 50% of survivors suffer from post-sepsis syndrome. Until a cure for sepsis is found, early detection is the surest hope for survival and limiting disability for survivors.